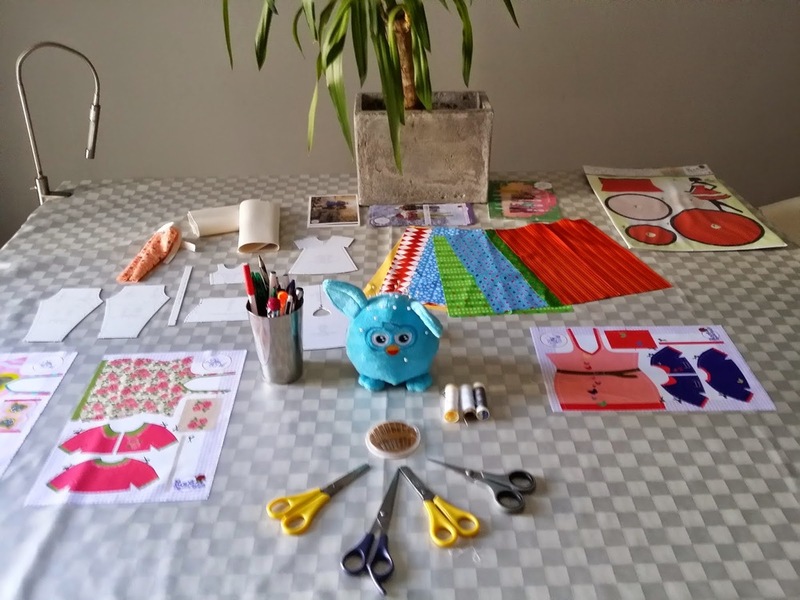 The Spanish blogster Ana Maria (find her blog Frikymama here) organized a super cosy workshop in her home for three girls to get to know DressYourDoll! Two Barbie dolls and a Monster High doll got some pretty fabulous fashion makeovers (while a pretty unlucky Furby served as a pin cushion!). They all got going using some fabric sets, a Maggy Flamenco (for that Spanish vibe!) and a few workshop outfits. Take a look at the photos below to see what a wonderful day they had! Her original post is in Spanish, but if you drop it into Google Translate, you can read her full review.